I missed posting last week. Not enough books and reading time and definitely not enough time to pull a post together! Binge reading this weekend, so lots to share this week! I love my biography section in my library - I added quite a few STEM biographies this week. 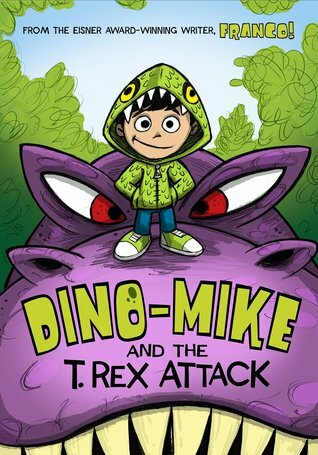 If you teach K-4th gr, you'll want to check out these chapter books for your readers. A new kind of hybrid? 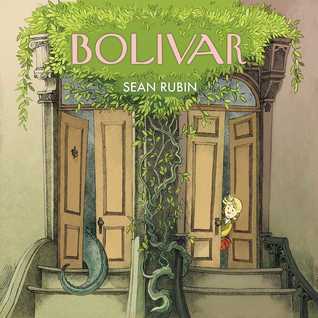 Check out this roundup of picture books/graphic novels/chapter books. 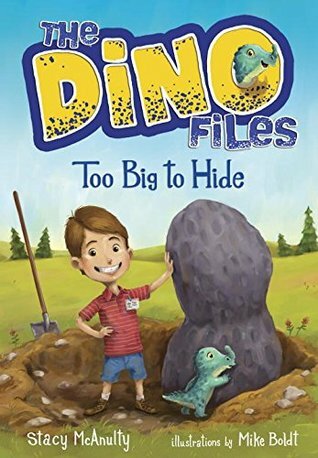 I had not read this before but I can see this being a huge hit with young readers. They will love how silly it is and how the words and pictures don't match. I love how this picture book uses the backmatter to give factual information about women astronauts and info about the moon! Annie surprises her family on Career Day with her choice - it combines all the characteristics her parents and grandparents have for their passions - of becoming an astronaut! I found this book from Jillian Heise's beginning of the year community building list. A book that pays homage to the kindness of school bus drivers while also sharing vocabulary from the Cree language. 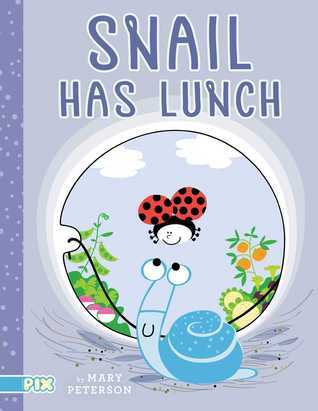 I came across this book through the Guessing Geisel blog. A color concept book - color words are printed in that particular color - told in simple prose will delight very young readers. I'll add this to my list of possible Mock Geisel titles. Written in rhymes, this book gives information about a bee's hunt for pollen and what they do with it. There are pieces of information that I recognize from other readings - like the bee's dance to tell other bees how to find the flowers - but I'm not sure young readers will pick up on the information. It would be a good book to use in addition to other nonfiction books. I found this book through Melissa Stewart. I feel like I have quite a few strong women athletes books now! This book gives us the story of Ludy Godbold who won the 8 pound shot put for the United States at the first Women's Olympics in Paris, France in 1922. I feel like in this age of technology, so much is created on the computer, that we're losing some of the hand-created art. This book celebrates so many different things we do with our hands and in doing so, reminds young readers what being creative looks like. As soon as I saw this book, I knew it was one I would want to read during the daylight! Really, it's a perfect combo of scary, suspenseful and humorous. Taking place in a town that has cliffs that lead to a mysterious cove, it takes just a quick accident to lead four kids into the cove. The kids find a mysterious houseboat with lots of odd trinkets inside, but nothing could prepare them for the swirling pool located on the bottom level of the boat. Definitely fun. Absolutely funny in places. Add this to your October releases! This is a book I finished and immediately thought about how this was such a good book and I wanted to reread and think about it some more. This is a book that puts you into the action in chapter one and then really doesn't slow down until you read the last page. In this book we meet Drest, the youngest in her family and the only girl. People often confuse her for a boy and I love that she is a young, strong female character. Drest ends up on a journey with two companions - who don't start out as friendly at first - and she learns a lot about herself and how she fits into her family. This book was definitely one of my favorites from this summer. I will say, Nic Stone knows not only how to write for teens, but also what to write. Dear Martin was extremely relevant for today's times... this one is too, just a different subject. Each of the three main characters is dealing with their sexuality, including wondering who is it ok to love/be attracted to. I loved that the reader gets a chance to hear each character voice's as the story is moved forward. I didn't know how to categorize this book - in my library it's in the adult science fiction section. I've seen it on a lot of young adult lists. 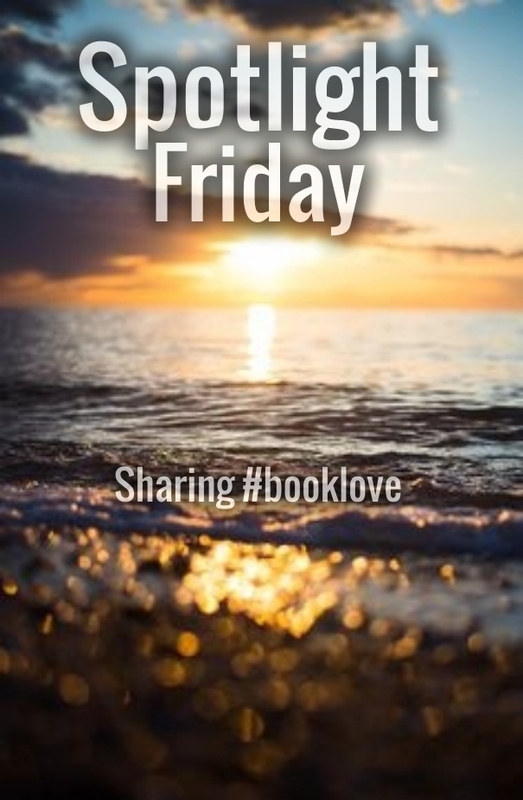 No matter what list it ends up on, you want it on your TBR list! A new world has formed as a result of a climate apocalypse, the Navajo reservation has reformed as Dinétah. But it has come with a price, as monsters lurk around corners and are doing horrible things to the humans. Our main character, Maggie, has the gift of being a monster hunter. She is good at what she does but it also leaves her living a more solitary life. Until Kai enters her life - now they are on a mission and it leaves her not only relying on her powers but others' and their friendship. I really enjoyed how Roanhorse weaves Navajo lore and legend into the story. A goal of mine is to read more widely and also seek out books that are written in #ownvoices and share them. This is one I'm happy to share - if you're a reader who enjoys adventure and stories that are fantasy/based on legends/mythology, this is a story you'll want to pick up! Anyone else starting to get a little bit antsy that summer reading is rapidly drawing to a close? I'm feeling the need to read even faster in the next few weeks! Years ago Jeff Kinney gave us a new hybrid - a chapter book that was full of doodles and small illustrations. Besides the fact readers loved the relatable story, they also loved the visual piece of the book. This was something that had been lost for them, the visual aspect. Given the rise of graphic novels, we can see how much young readers crave this part of reading. 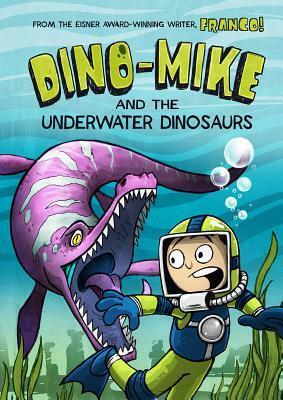 Recently I have found a new hybrid of books - picture books, graphic novels and chapter books. Each of the books listed below are longer, if not chapter book length. Some even include chapters. There are pieces of graphic novels in them (talk bubbles, frames) and picture books (narrative on the page). I think this format is going to fit really well with readers who need some support, readers who are still working on their stamina, readers who want the feel of a longer book but need the visual pieces, readers who are looking for a break from nonstop text. Take a peek at some of these books. I bet you have readers for them! Have you read any of these? What do you think of this "new hybrid"? I'm thinking readers are going to love them! I'm putting many of them in my own classroom library. Have you seen others - what titles am I missing? at the start of their independent reading journey. It's the summer of book piles! This week I am trying to go through some chapter books. 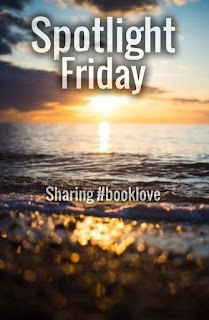 Today I am sharing some chapter books that have recently been published and one that is on the horizon. 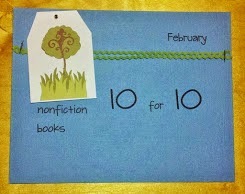 I'm putting them in order of how independent the reader is on chapter books. 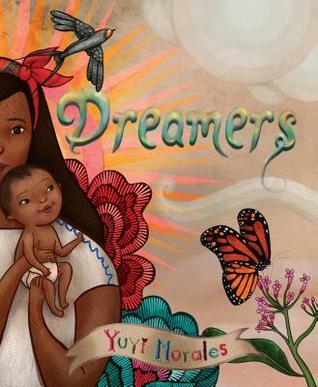 These books range from books that are supporting newly independent chapter book readers to those who are getting closer to middle grade novel readers. 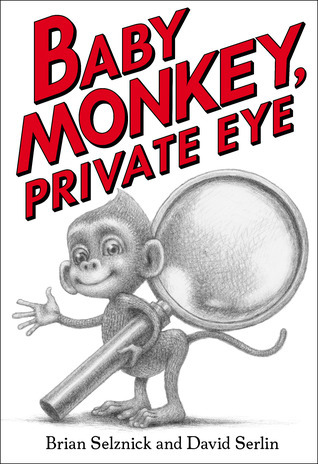 This book is going on my Mock Geisel list, for sure! Told in three chapter, Fox and Chick go about their day until something funny - at least to the reader - happens. 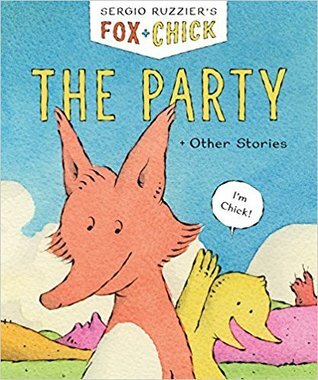 In the first story Chick holds a party... in Fox's bathroom. In the second story Chick teases Fox about the foods he eats as compared to what he should be eating... until he realizes foxes normally eat birds. In the final story Chick wants his portrait done yet can't sit still. 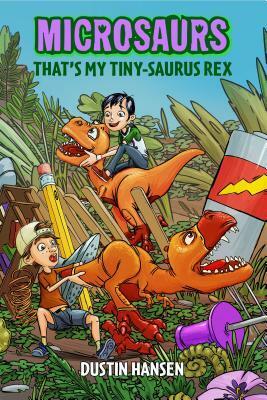 Each story is full of humor that doesn't talk down to young readers, but expects them to understand the implied silliness. I haven't seen this since Elephant and Piggie. I'm looking forward to more in this series! I fell in love with the "Buddy Files" series years ago. I love that there is a new series - with actually the same dog! - for readers who are looking for chapter books they can read with support. In this new one, Kayla loses a tooth while at school but loses it before she gets home! Never fear, King is on the case! Another fun mystery to solve with one of our favorite dogs. 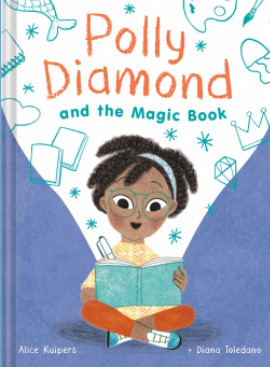 Perfect for fans of Dory Fantasmagory, Polly has just as crazy of an imagination and she also has the help of a magic journal to help her out. Just write what you want in the journal and it will come true! Want an aquarium on your wall? Just write it down! Want to be invisible? Done! Short, illustrated chapters makes this book perfect for readers looking for their chapters to be a little bit longer, but still have some picture supports. The first two books in this upcoming series will publish at the same time. I can't wait to get them into the hands of young readers this fall. I think the sweet spot for this series will be for first and second graders who are ready for longer chapters and less pictures. Imagination is strong in this series too, since Dragon just happens to be a stuffed animal that comes to life in Warren's imagination. Although it seems Dragon might be getting into some real trouble too! Full with real life kid-problems, I think this series is going to be a hit! I think your readers are going to have a hard time not laughing out loud while reading this one! This book is longer - coming in at 184 pages - but it will be full of laughter! The narrators are the dogs, meaning we're seeing everything from their level. Well, except when one is standing on top of the other dog and they are walking around like that with a trench coat on so they appear more human. You know. As dogs do. And one speaks human. 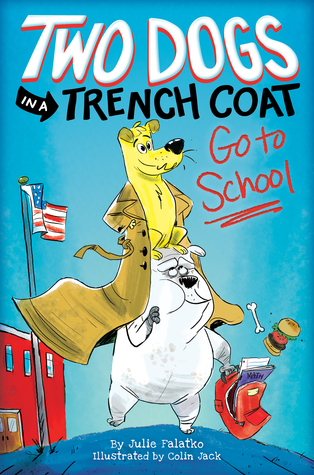 Readers will suspend disbelief as they read about Sassy and Waldo and their adventures at their boy owner's days at school. 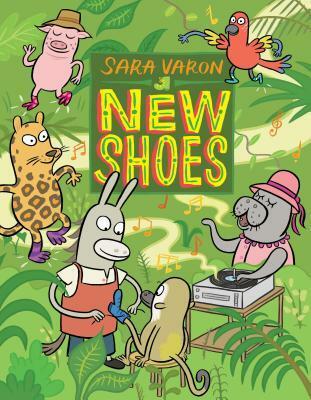 Lots of great new chapter books for your readers! As you are planning for your libraries this fall, make sure you include some from this list. Your readers will thank you! 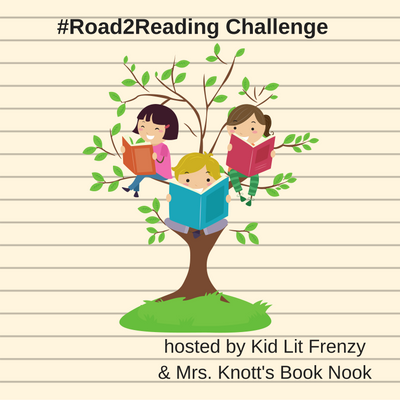 Do you work with readers who are starting their journey on the road to reading? 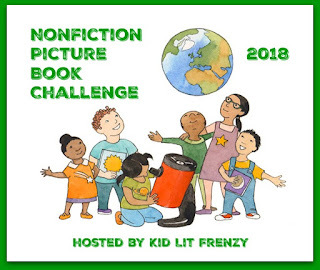 Join Alyson Beecher from Kid Lit Frenzy and me every Thursday as we explore books and ideas to help readers have a successful start to independent picture book and chapter book reading. 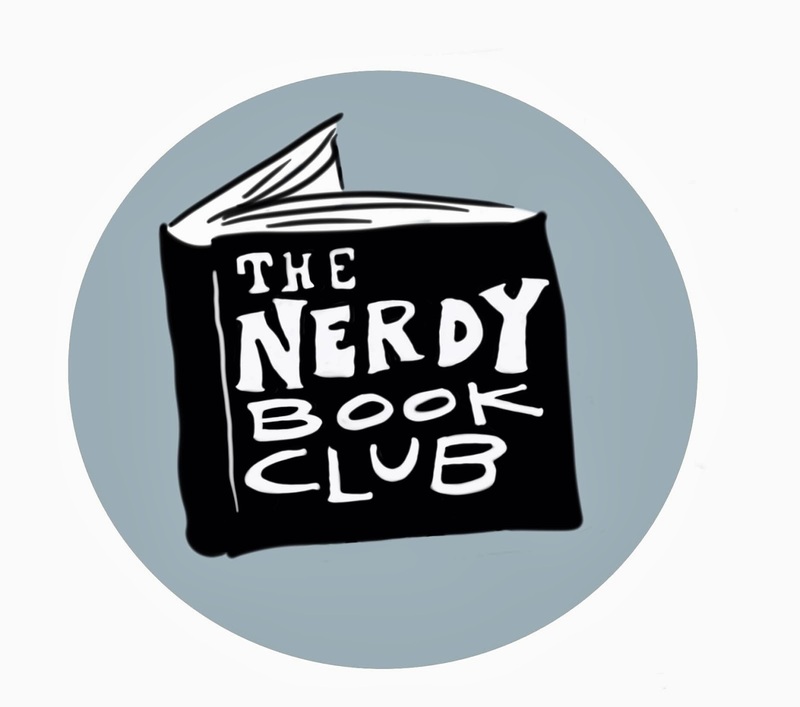 If you blog or have a Goodreads page, please link up with us! I have had a staggering amount of picture books pile up. Fiction, nonfiction, just so many to read! For the next few weeks I am featuring the large amount of picture book biographies I am reading! Be sure to check back over the next few weeks for lot of new picture book biographies to add to your shelves. why you want to check this book out: I love the way this book features math and science connections - it's important to show students how learning connects. I love the story of Sophie - you'll want to add it to your list of books that feature "mighty girls", people who persevere. You could use it to compare/contrast with The Boy Who Loved Math by Deborah Heiligman. 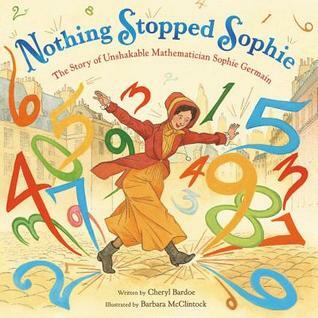 This is also a book I will potentially have on my Mock Caldecott - McClintock has really outdone herself the way she has brought Sophie's world to life and add in additional details on the endpages. 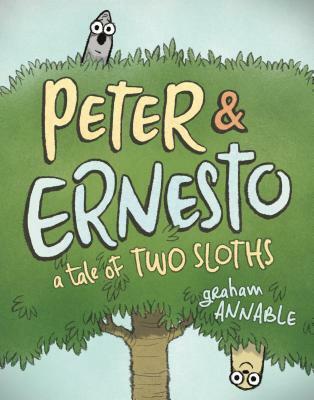 If you're doing a Mock Sibert/Orbus Pictus, this will be a book you will want to strongly consider adding! why you want to check this book out: it is fascinating! 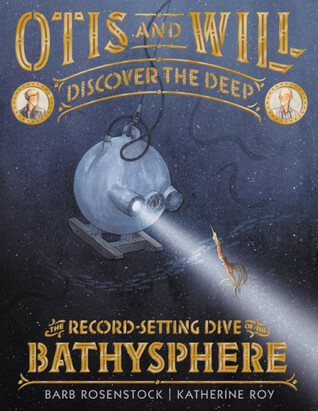 Focusing in on the first record-setting dive made in this deep sea diver, readers learn more about what it took scientists Otis Barton and Will Beebe to get to the depths of the sea. 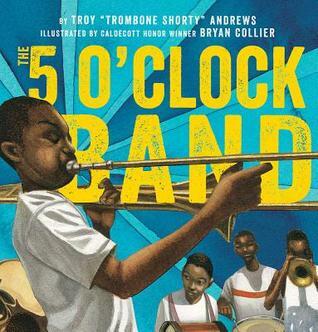 I think this book may land on many Mock lists - Caldecott and Sibert! 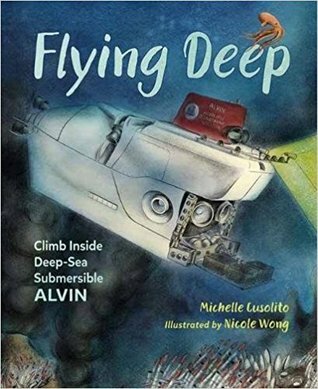 why you want to check this book out: This would be a great follow up to Otis and Will Discover the Deep since it takes readers on a more current journey using a submersible that probably got some understanding from the earlier technology in the other book! I like how this time the author puts the reader in the driver seat and makes them think about what it would be like to pilot a submersible. 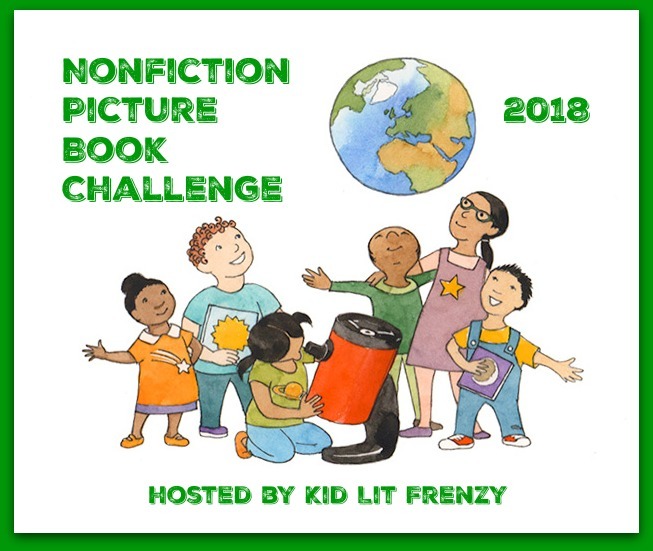 Connections to STEM and the theme of discovery - a fun book to read. 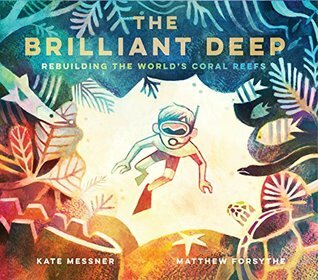 why you want to check this book out: A beautifully illustrated book about Ken Nedimyer who noticed the coral reefs were dying in the Florida Keys area. Without the reefs, other ocean life was not being sustained and therefore also dying off. Messner details how Nedimyer was able to begin the coral reef restoration and how it is continuing today. Additional notes and sources are detailed in the backmatter. Add it to your collection of environment books! why you want to check this book out: Have you ever noticed how the people who have done really big things are PASSIONATE about what they believe and DRIVEN to accomplish their dreams? 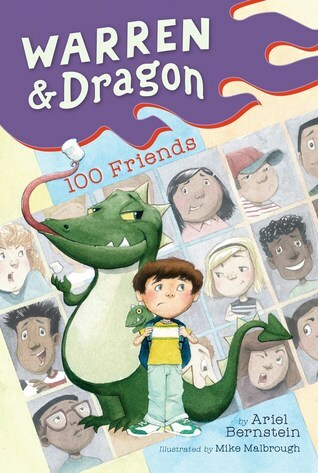 This book illustrates that well and could be used as a mentor text for character traits. Be sure to check out these biographies! Like what you see here? Stop by in the coming weeks for more. 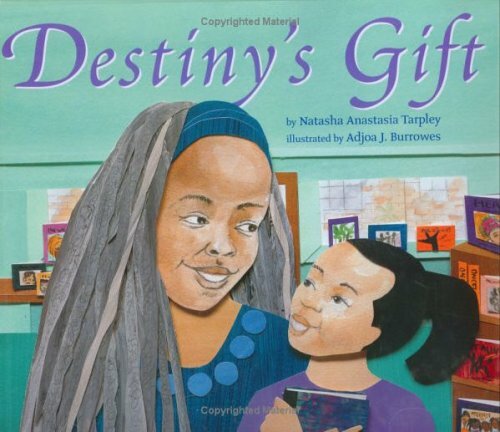 Aug. 1st: picture book biographies about people who who made an impact on our world. 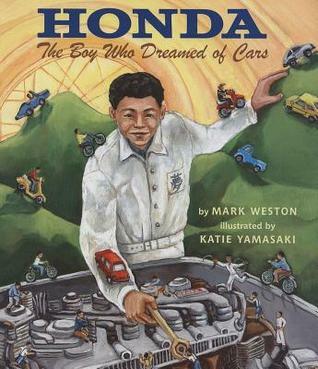 Aug. 8th: picture book biographies about people who enhanced the arts. Today's post is brought to you in part of Kristen Picone's tweets (@kpteach5) a couple of months ago, plus some new ones I've come across! If you didn't seen them, no worries, here's a small roundup of books to keep you busy! Hopefully you had a chance to see part one of the series! We know, representation in our classroom library matters. Do your students see books with mirrors of themselves within the pages? Although my goodreads shelf says "diverse books", what is diverse? Is it a diverse book for an African American to see images of themselves within the pages? Is it diverse for a Muslim to read about a piece of clothing they wear everyday? No, but it shows representation. They matter. Their customs, heritage and beliefs matter. Having books that represent that in your library, matters. Yes!!! Love this book! Without ever mentioning it, the reader figures out Zulay is blind. She wants to do everything her classmates are doing and we see that modifications are in place to allow her to succeed. Until her name is called out because it is time for her to see her special teacher. Instead of going to gym like everyone else, she has time with a teacher to practice using her cane to help her navigate her world. 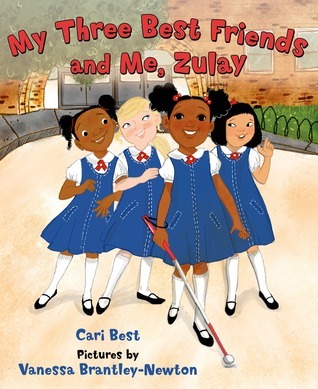 And for Zulay, that cane is one more reminder that she is different from everyone else. A book like this is so important to have. I wish I had this book when my daughter was younger because it would've been a mirror for her. As someone who has always had a large shoe lift due to her limb length discrepancy, I don't know how many times we've argued over putting modifications in place. She always argues she doesn't need them and the reason being because it would've been one more thing that made her feel different. This book gets it right. Thank you to Aliza Werner for introducing me to this story. Teddy the bow tie wearing teddy bear has always known that he was a girl teddy who would prefer to be called Tilly and wear the bow in her hair. 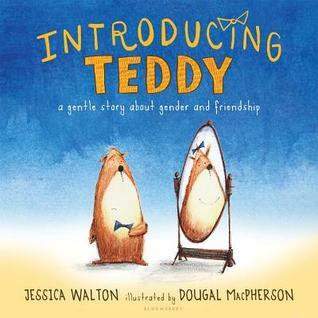 This book shows characters who defy gender norms by having males that have tea parties and girls that build robots. The important thing is everyone accepts Tilly for who she is and continue to go about the activities that make them happy. Acceptance = happiness in this book. 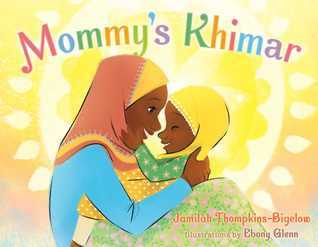 The khimar, or hijab, is an important part of many Muslim women's lives and what I love about this book is instead of discussing what it is, it becomes a part of a young Muslim-American girl's play. It is something that holds a lot of meaning for her because it is something of her mother's and therefore is something to treasure. I hope books like this aren't used as a token read to explain, but as part of a unit, perhaps on families or traditions. 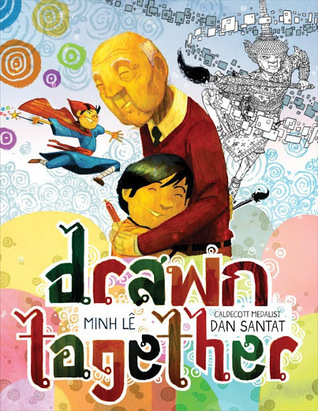 I love how beautifully Lê's text and Santat's illustrations work together in this book about bridging the gap between language and communication. Something I have learned from every EL workshop I've gone to is how important it is to keep a strong first language base because as a child grows older, it becomes harder to communicate with parents and older generations when they don't have that strong base. However, as I see EL students assimilate with the English language and their peers, I see them growing uncomfortable using their primary language. I see in other families where students are second generation Americans and they don't know much of the family's original language at all. I love how in this story Lê uses the arts as a way to bridge the communication between the generations. Something that is important to note is making sure you have books that show mirrors of readers and have them be realistic fiction - about situations that are familiar. For example, in this book, a little girl is doing her best to help keep a neighborhood bookshop from closing because it's a place that she loves, particularly because of her friendship with the owner. The girl loves books and loves writing words. It just happens to feature an African American bookseller and (possibly, hard to tell for certain from illustrations) a biracial family. Make sure your books that have African American characters are not mostly based on historical situations, but reflect your readers today. I think this is one of the most important books published in 2018. Definitely a book you'll want to share. To share the immigration experience. To share what it's like to not understand a new language. To share what it's like to learn a new language. To share the importance of books... of libraries... of reading. The story is beautiful. The art is amazing. Make sure you preorder this one - available Sept. 4th. I will continue to celebrate this book for a long long time. 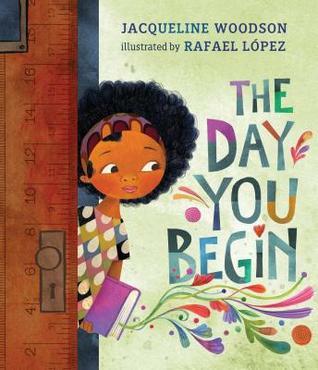 Woodson and López bring the stories of three different children who all, for one reason or another, are feeling left out in different situations at school. But as one of the children learn, by sharing stories, we can start finding things we have in common, even though we still have differences. Another book by Woodson that will continue to be used and discussed in the years to come. Another must preorder - available August 28th. I am so glad these two have collaborated again and have given us more Trombone Shorty stories. And after being at ALA in New Orleans, this book has even more meaning to my life! I love having stories that bring music, especially music that is so culturally important, to life. I love Lin's books and how she weaves parts of Asian culture and traditions into her stories. 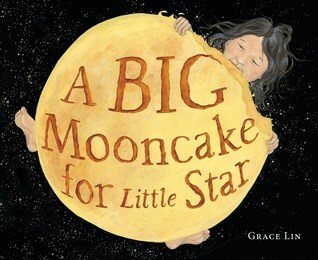 A sweet story about a young girl... she makes a mooncake with her mom and is dressed in star pajamas. With the black background, the stars and mooncake really pop for the reader. It's not until you go a little further you realize you're reading a story about the phases of the moon. Don't miss Lin's note on the back book flap that explains how she choose pieces of the Mid-Autumn Moon Festival (an Asian holiday) into this story. 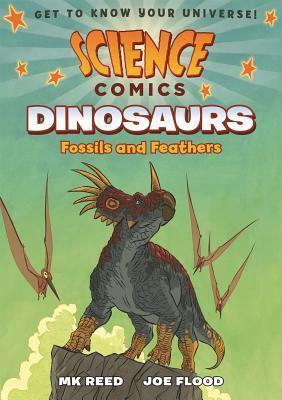 Dinosaurs have always been a topic that has been enjoyed by young kids. I love that there are books that appeal to the reader who is gaining independence. Have you seen these books before? I'm putting these in order of independence level - but note I am not putting a level on them - and also noting why you might want to find them! 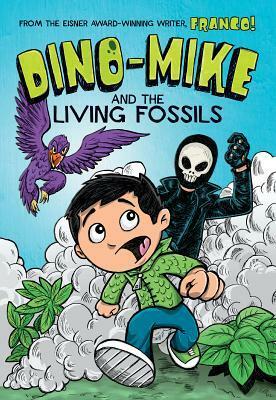 With the combination of Stacy McAnulty's crazy adventurous writing and Mike Boldt's fun illustrations, this series captivates young readers. 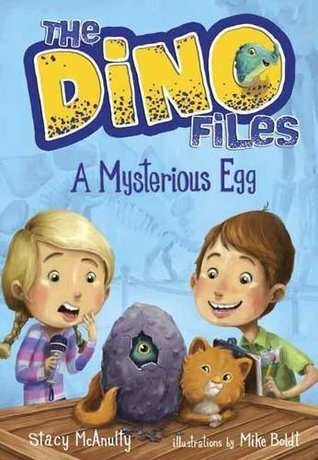 What makes this series fun: ever wonder what it would be like to find a dinosaur egg? It's Frank's dream come true! There are currently three books in the series. What makes this series fun: In this series we get to go back in time to the land of dinos! 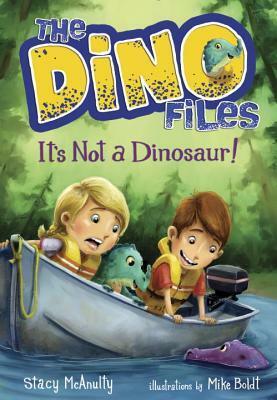 This is the only series that has the adventure go back in time, which appeals to any dinosaur-enthusiast! There are currently eight books in the series. 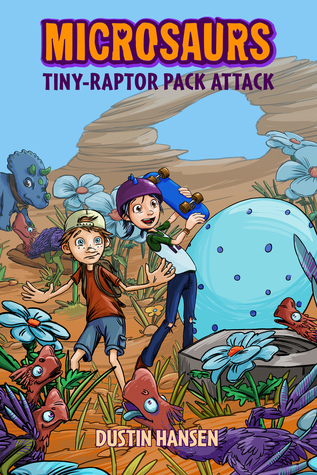 The kids in this series get to shrink down because the dinosaurs are micro-size! 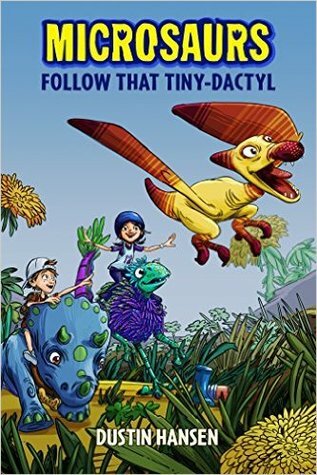 What makes this series fun: the longest of the three series, these kids get to go on pint sized adventures (a la Honey I Shrunk the Kids, remember that??). There are currently four books in the series, with the next one publishing in January. All of these books make great read alouds - and it would entice the kids to continue the series.